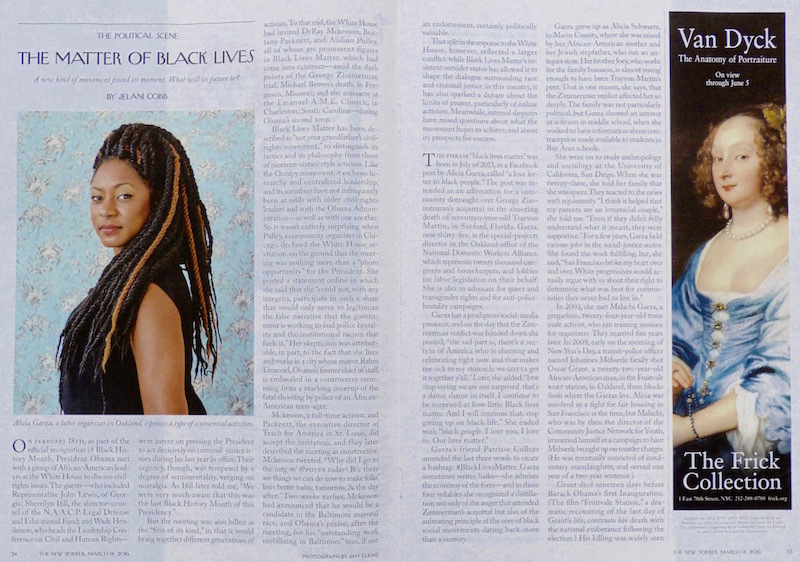 Pages 34-35 of the March 14 New Yorker present a piquant juxtaposition: Alicia Garza, labor organizer, today, and Mary, Lady Van Dyck, c.1640. How the world turns! 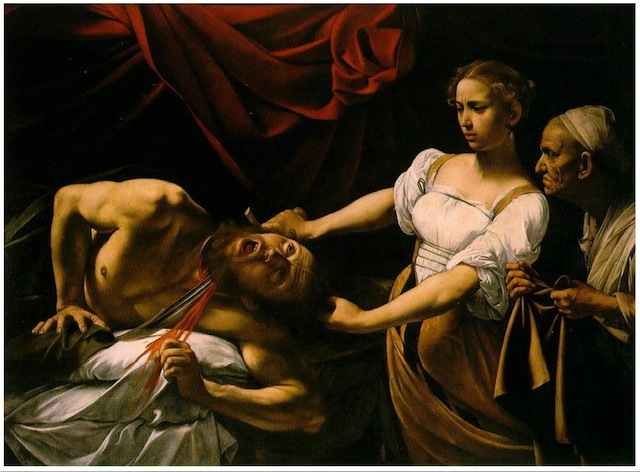 The great Caravaggio (1571-1610) did many compelling paintings, but his tepid “Judith Beheading Holofernes” isn’t one of them. Holofernes is only melodramatically astonished, while Judith looks as if she’s performing some mildly distasteful task like combing out head lice, and even at that appears to be having second thoughts. Her maidservant stands by with a severe expression. 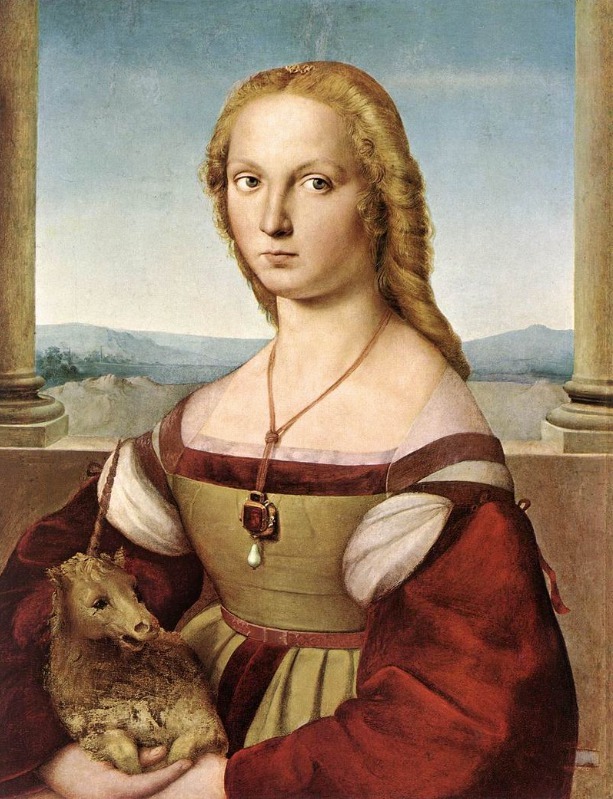 Her usefulness to Carravaggio is to provide age and wrinkles to contrast with Judith’s youth and beauty. 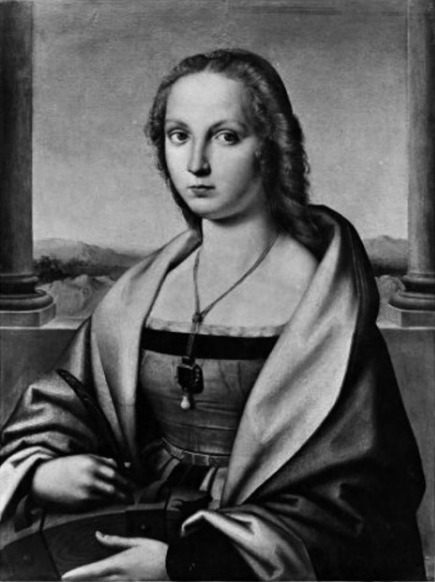 Compare that with the version done some twenty years later by Artemisia Gentileschi (1593-1652). It obviously takes off the Caravaggio, but adds serious punch. Caravaggio presents a leisurely frieze of dramatically lit figures artfully disposed from left to right, but Gentileschi compresses the group into a tight web of crisscrossing, interlocking arms. It’s a fight: Holofernes thrashes, trying to push his attackers away; the maidservant (young and determined, like her boss) piles on; Judith has her knee on his neck as she saws away with the sword, putting her back in it. Blood spatters her, but her expression is cool–she’s focused on getting the job done. Caravaggio sets Judith apart by her brilliant white blouse and lovely face and arms in silhouette against blackness, but Gentileschi’s piece has no such decorative progressions. She uses low-key colors throughout, and whites and light skin tones only in bright, local flickers, to keep the eye bouncing around. Her subject is the intimacy of the violence between the three players. 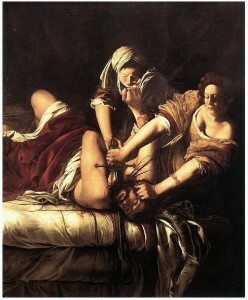 Gentileschi had a hard life, to the hardness of which brutal men made major contributions. 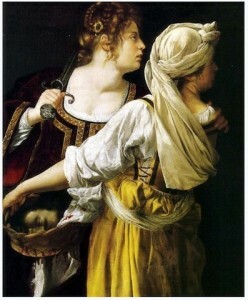 Judith’s story was a myth to Caravaggio, but not to Artemisia. Oddly, at about the same time, Gentileschi painted this moment after the beheading. It’s a lovely rendering of drapery and skin, but that’s all it is. How clean the sword is, and reticent the severed head. Go figure. 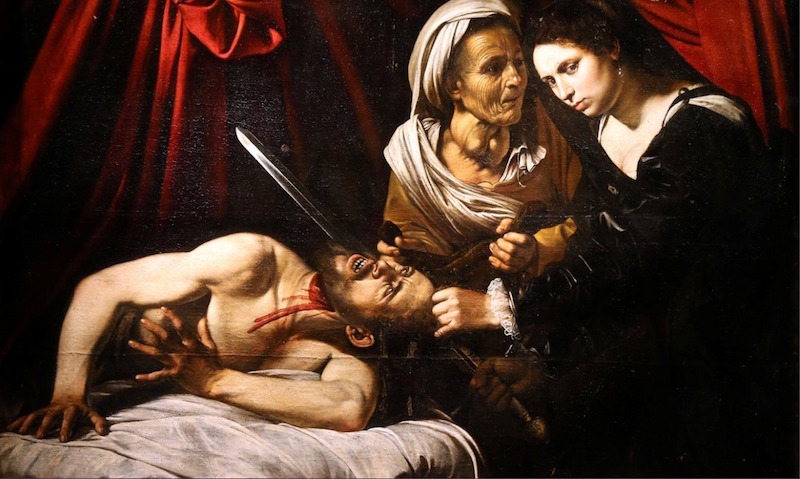 Addendum, April 13: Then we get the dramatic announcement that a new Caravaggio on this subject has recently been discovered in someone’s attic. Experts disagree whether it is, in fact, by Caravaggio, but the dealer offering it professes great confidence, and values it at $136,000,000. I must disagree with the dealer. I don’t claim to be an expert, but I have eyes. Clearly it’s after Caravaggio, but the master could never have perpetrated such a dramatically incoherent and psychologically absurd composition. 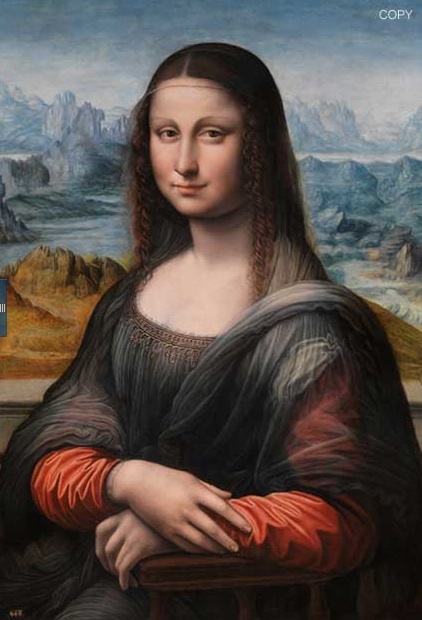 And speaking of revisions to paintings, as in the Lady with a Unicorn last week, an interesting article by Suzanne Daley in the New York Times of April 13, 2012 (http://www.nytimes.com/interactive/2012/04/14/world/europe/Not-Just-Another-Fake-Mona-Lisa.html ) demonstrates that the cleaned and restored copy of Leonardo da Vinci’s Mona Lisa from the Prado, shown here, reveals the same pattern of alterations as the original, and therefore must have been done at the same time, in close collaboration. 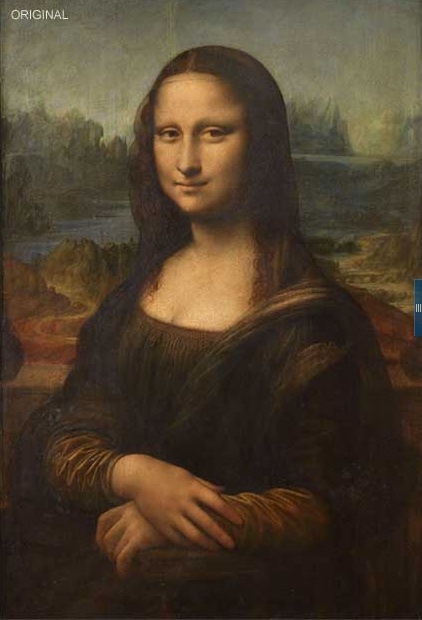 So: if the Mona Lisa is obviously old and much varnished and dirtied, as such old paintings often are, and if the restored copy looks as it does, might the original resemble the copy if it were given the same treatment? Maybe, but maybe not, and in essence definitely not. 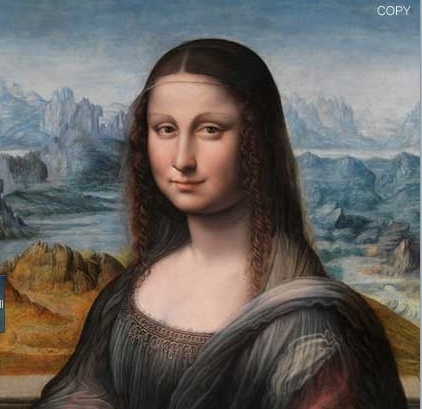 It certainly seems that the copy is based on Leonardo’s original, and done at the same time, but there are many obvious and substantial differences. If the copyist was working alongside the master, he was nevertheless doing his own thing. Begin with the landscape. Leonardo’s comprises three distinct bands, warm in the foreground, cooler in the distance, that pass across the picture from side to side. They are nicely varied so they don’t seem mechanical, but they support the figure. The copy’s landscape is remarkably different than the original, and weaker. This is partly the washy blue color, but beyond that, the design competes with the figure rather than supporting it. Look at the road, a taut serpentine in the original, coiling around a substantial promontory; it is almost unnoticeable in the copy, and the promontory is reduced to a minor ridge. Across the road Leonardo places a substantial mass that rises toward the figure, passes behind her, and appears again on her left. The effect is to guide the eye into the figure and eventually into the landscape beyond. The farther mountains beyond the water on her right drop down to her eye level and then reappear as a flat mass on her left, again holding background and foreground together. The farthest mass repeats the device a third time. In the copy, the near landscape is divided by the figure into two parts with no relation to each other. The little triangle on her left doesn’t describe anything, and slips confusingly into her costume. The distant landscape is watery and arbitrary. The mountains on the left are full of fidgety detail that draw the eye away from the face. The continuation on her left side is not a simple mass, but an arbitrary cluster of bosom shapes. These are not imbalances that might have been caused by overcleaning; the painter was chasing details one by one, without regard to their cumulative effect on the whole. This indiscipline carries into the figure herself. The face in the original is firmly drawn. It tilts a little to the right so that the right eye is slightly lower than the left. The copy tilts the other way: compare the angle of the noses. The copy’s eyes are level, closer together, and fluttery. Compare the shape of the chins: the one, firm and pointed; the copy, softer, rounder, more jowly. 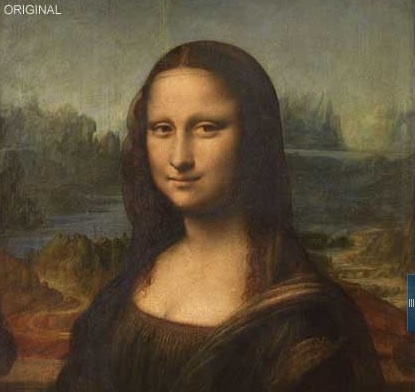 The famous Gioconda Smile is reduced to a wistful smirk. The right sleeves: Leonardo’s makes a positive, outward-pressing descent that draws the eye out and down. It offers a dramatic right angle to the road, and almost loses itself in the shadows of the mountains. That same form in the copy is a negative, like the original with the air let out, and by its slackness, and the harsh contrast with the landscape beyond, contributes to the separation of foreground and background. And so on. These are details, but details are where the art happens. They account for why the original is so solid and imposing while the copy is so washy and meandering. Surely if Leonardo were training the copyist, or had some direct interest in the result, he would have corrected all this. So the copyist was some conventionally trained person of pedestrian talent with access to the master’s studio, eager to pick up tricks, but ill-advisedly playful, and beyond critique. Some wealthy dilettante? The mystery continues. The illustrations are from the Times article. The blue tabs are from the interactive feature that lets you glide from one to the other. This post is a reprise of April 21, 2011.